Wisconsin Retirement Planning Attorneys - Crooks, Low & Connell, S.C. When it comes to preserving your legacy through your estate plan, if you are like many people, your retirement accounts are among your largest assets to be addressed during the planning process. In some ways, they can be among the most challenging to address as well. If you are getting close to retirement age or are planning an early retirement, here are five key considerations to keep in mind as you prepare to begin withdrawing your funds. 1. Are Your Withdrawals Subject to a Penalty (and Can You Avoid It)? If you have a traditional retirement account, such as an IRA or 401(k), there are penalties that apply to early withdrawals. If you start pulling from your retirement accounts before age 59 ½, in most cases, you will have to pay an additional 10 percent to the IRS. 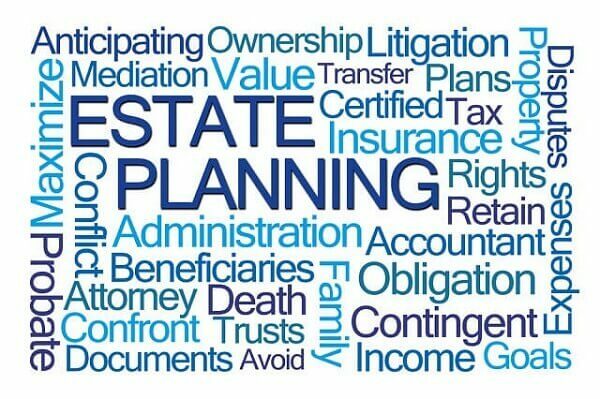 Tax planning is an important component of the estate planning process, and you will want to make retirement decisions that leave your loved ones with as much of your accumulated wealth as possible. You need to exercise great caution, as not all plans are the same, and some prohibit any early withdrawal unless you meet hardship requirements. 2. Should You Withdraw from One Account Versus Another? For Social Security and tax purposes, the timing of your withdrawals matters – especially in the earlier stages of retirement. For example, Social Security benefits increase the longer you wait to claim them (until age 70), so relying on your retirement savings to delay your Social Security benefits, could help maximize the income you have available in retirement. Of course, while retirement assets are inheritable, Social Security benefit payments are not, and this is something that you should consider as well. 3. Should You Convert or Roll-Over Retirement Funds? IRAs, Roth IRAs, 401(k)s and other types of retirement accounts all receive different tax treatment, and converting assets from one type of account to another could result in significant tax savings depending upon your goals, needs, and personal circumstances. 4. How Long Will Your Retirement Savings Last? Of course, this is one of the top questions on most people’s minds. Have you saved enough to maintain your current lifestyle? To travel? To move? To pursue a new endeavor? Before you make the decision to retire, it is critical to speak with your financial advisor and make sure that you are financially ready to take the plunge. 5. What Will Your Withdrawals Mean for Your Estate Plan? Any decisions that you make regarding withdrawal of your retirement assets have the potential to impact your estate plan. As a simple example, suppose you decided to leave your IRA to one child while you left a non-retirement investment account to another. If your withdrawals deplete your IRA principal over time, this will impact the equity of the distribution of your estate. Maybe this matters to you; or, maybe it doesn’t. Regardless, in order to live the most fulfilling retirement possible while also maximizing the value of your estate for your loved ones, you will need to make informed decisions that take all of the relevant factors into consideration. If you would like more information about factoring your retirement savings and goals into your estate plan, contact Crooks, Low & Connell, S.C. in Wausau, WI to schedule a consultation. Call (715) 842-2291 or request a consultation online today.